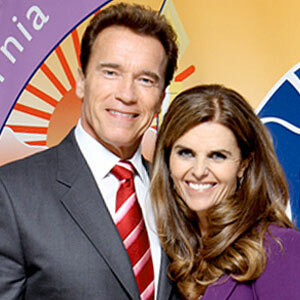 The 'Terminator' actor – who completed seven years as the Republican Governor of California in January - is no longer living with his spouse after much "thought, reflection and discussion". However, they insist their children Katherine, 21, Christina, 19, Patrick, 17, and Christopher, 13, are the "light" in their lives and they will "continue" to parent them together. The couple said in a statement: "This has been a time of great personal and professional transition for each of us. After a great deal of thought, reflection, discussion and prayer, we came to this decision together. "At this time, we are living apart while we work on the future of our relationship. "We are continuing to parent our four children together. They are the light and the centre of both of our lives. We consider this a private matter, and neither we nor any of our friends or family will have further comment. " Shriver – the niece of assassinated US President John F. Kennedy – has moved out of their home in the Brentwood area of Los Angeles. The couple have faced problems in their relationship before – just as Californian voters went to the polls in 2003, six women alleged they had been groped by the Austrian-born actor on movie sets and studio offices. However, they stayed together and in 2006 she campaigned with Arnold to help him win re-election to the governor's office.